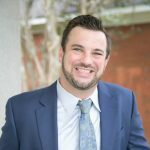 Dr. James M. Sitz grew up in a rural town in southwest Louisiana before attending Louisiana Tech University where he graduated in 2009 with a B.S. in Biology. He then went on to attain his Doctorate of Dental Surgery at Louisiana State University School of Dentistry in 2013. 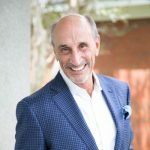 Additionally in 2014, Dr. Sitz completed a General Practice Residency in Augusta, Georgia where he received extensive training in dental implants and I.V. sedation dentistry. Dr. Sitz was honored to receive Fellowship status in the International Congress of Oral Implantology in early 2015. Striving to provide the most advanced and up-to-date services for his patients, Dr. Sitz maintains membership in the Alabama Dental Association, American Dental Association, and Academy of General Dentistry. In his spare time, Dr. Sitz enjoys playing golf, hunting, and fishing. Dr. Glenn Steen has over 40 years of experience. Dr. Steen attended Louisiana State University School of Dentistry. He loves spending time with his wife, Amy two daughters, their husbands and four grandchildren. Dr. Steen has a passion for saltwater fly fishing and golf. Dr. Steen enjoys dentistry and life.